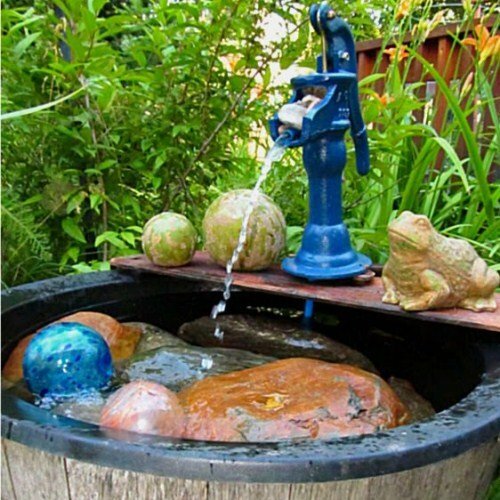 Water fountains are a great way to accentuate your boring outdoor area and transform it into a garden oasis. They can provide a centerpiece or that one piece you've been missing in your outdoor design. Fortunately for you, there are many styles, colors, materials, and price points to fit your needs. Unfortunately, with all these choices, it can be hard to choose just the right outdoor fountain for you. 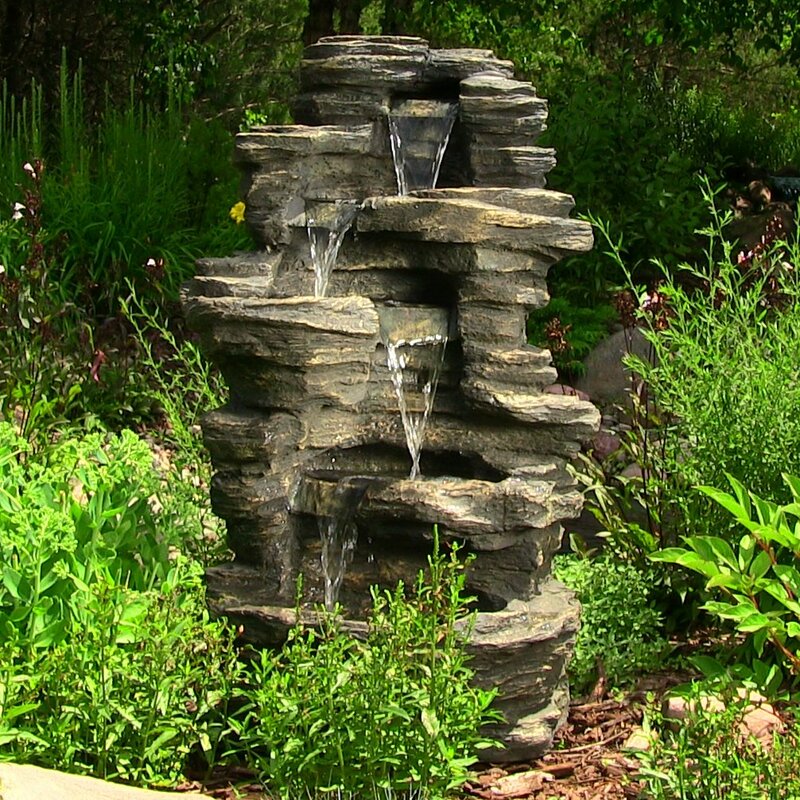 We've compiled this guide to help you decide which water feature you'd like in your yard and give you some new ideas for decor. As you know, style is the single most important thing when choosing any kind of Decor. The most beautiful piece can look terrible if you don't put it in the right setting. 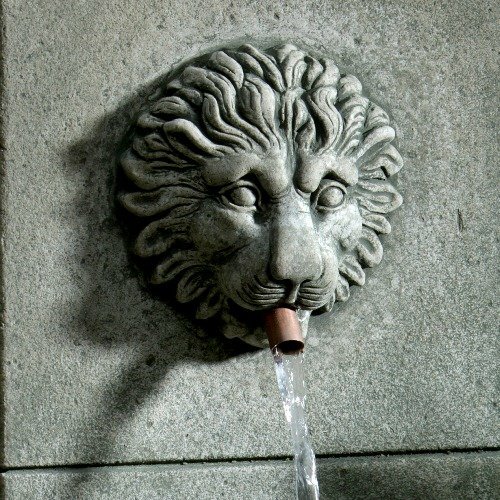 Make sure to choose a fountain that fits the style that you're trying to achieve. 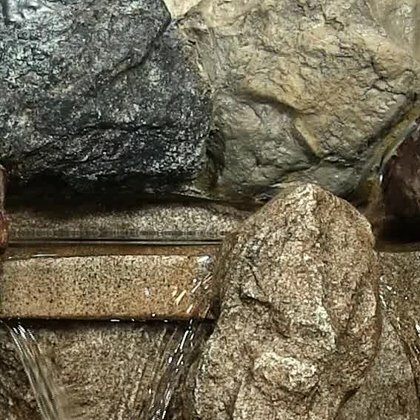 This traditional-style water fountain features water cascading from rock to rock to form a waterfall-like look and sound. 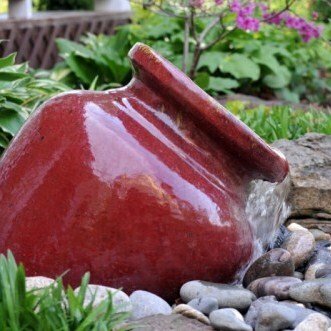 These are available in a variety of shapes and sizes, but all fountains usually include an interesting ensemble of things such as buckets, pots, wells, urns, rocks, animals, etc. 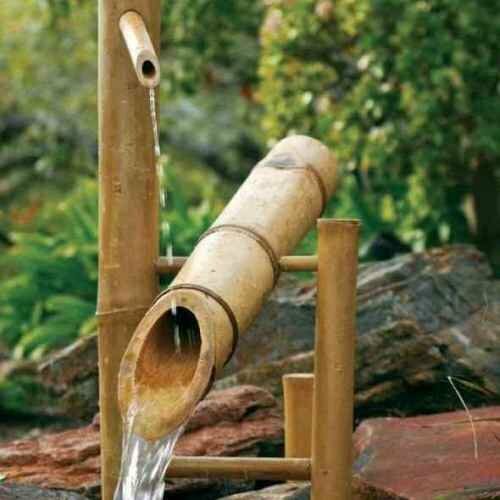 Find garden fountain ideas and other landscaping inspiration by browsing our selection of outdoor fountains. 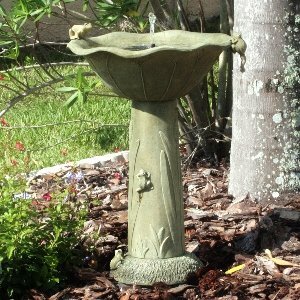 Variety of styles - Birdbath fountains come in a variety of styles. 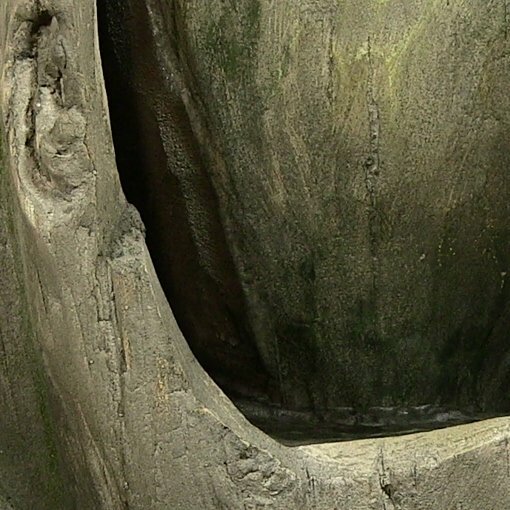 The bubbling water provides a place for birds to play and keeps the water fresh. 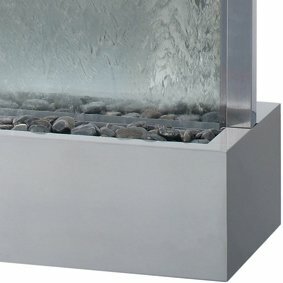 Use landscaping to install this water feature in a flowerbed or garden. The water seemingly "disappears" as it falls into a hidden underground basin. 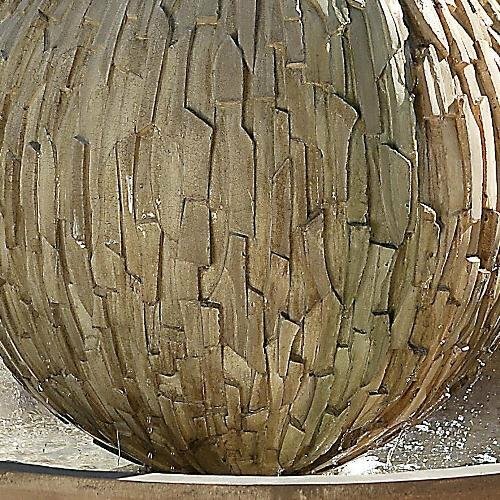 The materials used to construct the outdoor water feature are considered almost as important as the style. 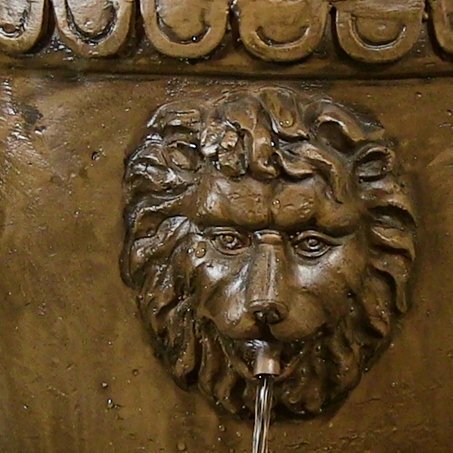 The design elements that make up a great exterior fountain start with the supplies and equipment used to fabricate it. These components determine the durability, weight, texture and customizable options of the fountain. Use of cast stone for building and decoration has been very popular for ages because of its fantastic durability and design possibilities. Cast stone structures are constructed with a Portland cement mixture that includes high-quality fine and course aggregates. The increased amount of fine aggregates results in a smooth surface resembling that of natural cut stone. Pigments can be added to the mixture to change the base color. 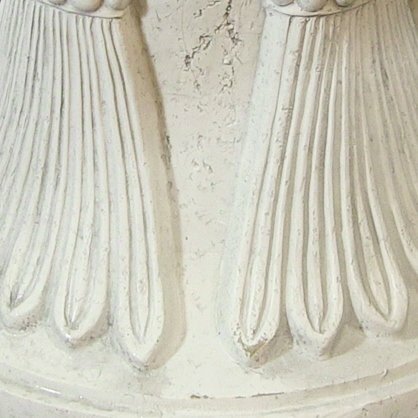 A final "antiquing" process can also be done to add a two-tone aspect to the piece. Note: Because of the nature of this process, getting two pieces to match colors perfectly isn't always possible. Therefore, it is recommended that you order all pieces at once to ensure the same batch of cast stone mixture is used. 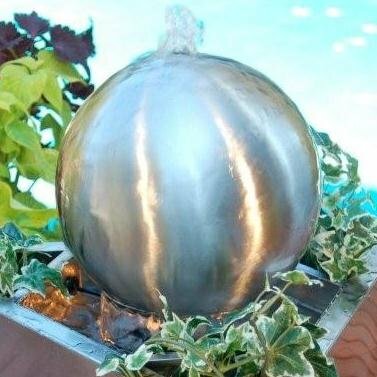 This material is comprised of high-strength glass fiber embedded in a cement mixture, making it the most durable of all the outdoor fountain materials. In fact, when manufactured correctly, GFRC can have a higher tensile strength than steel. The obvious advantages of this material make it valuable to building and decor. As one of the most versatile materials available, polystone can be made to mimic virtually any material, including concrete, rock, wood or ceramic. Polystone was developed to weigh 80 percent less than similarly sized cast stone structures while keeping the same durability ratings. 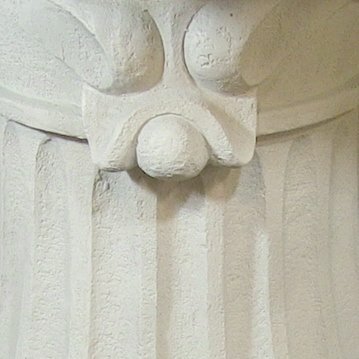 It is also a much cheaper material than cast stone, making it very desirable for decorative garden structures. The creation of the polystone compound mainly involves a polyurethane resin mixed with a powdered stone additive, which creates an almost stone-like look and feel. Fiberglass is the lightest of all the materials and weighs about 85 percent less than cast stone structures. 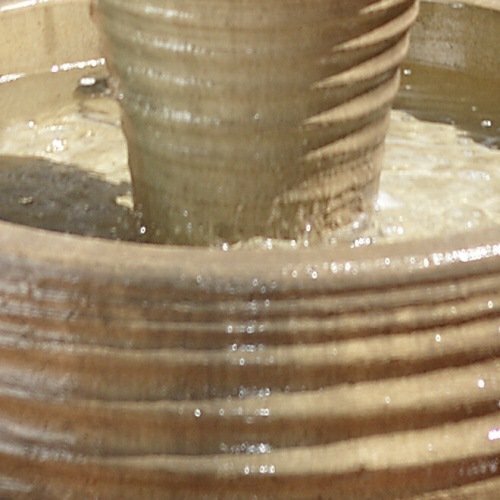 This makes fiberglass fountains the easiest to manage and assemble. However, in windy areas where the fountain may get blown over, durability could be a concern. As the name suggests, fiberglass is made from tiny glass fibers and an epoxy material, which is mixed and molded into practically any size and shape desired. Because of this versatility, detailed molds are possible with fiberglass. 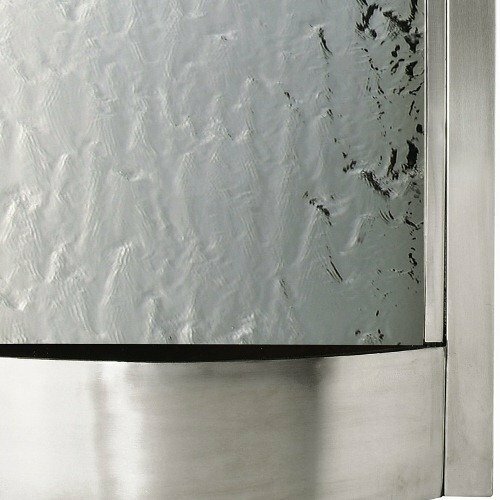 As you probably already know, stainless steel is one of the best building materials ever discovered. Because of the anti-oxidation and stain-free properties, fountains made of stainless steel never discolor or rust. The strength of stainless steel allows for thin sheets to be used to lessen the weight and cost while maintaining the durability of the structure. Copper fountains are the epitome of class and elegance. The various patinas and finishes that occur on this beautiful natural resource are phenomenal. 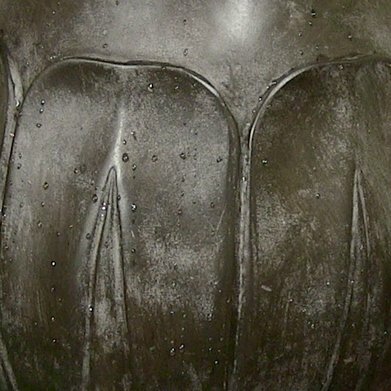 Many of the patinas develop over time and continue to add to the beauty of the structure. 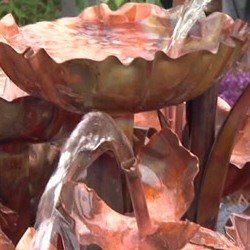 Unfortunately, due to the cost, copper fountain designs are uncommon. However, you can opt to get one custom made by a copper artisan or choose from the few stock options we have. 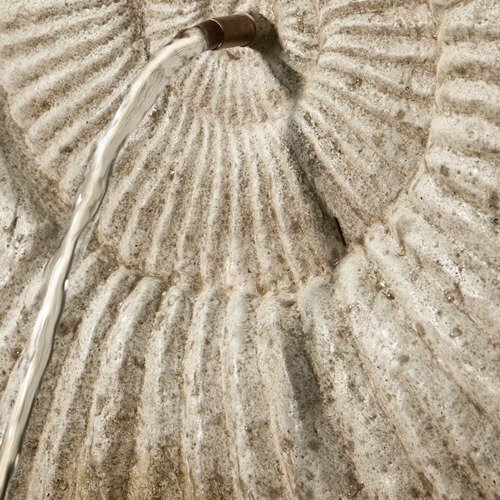 Fountains cut from natural stone tend to be simple in design, but for obvious reasons, are some of the most natural-looking of all fountains. 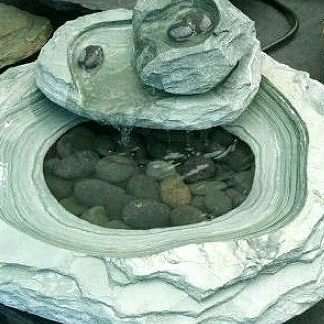 The minerals typically used for stone fountains include granite, slate and marble because of their beautiful color combinations and abundance. 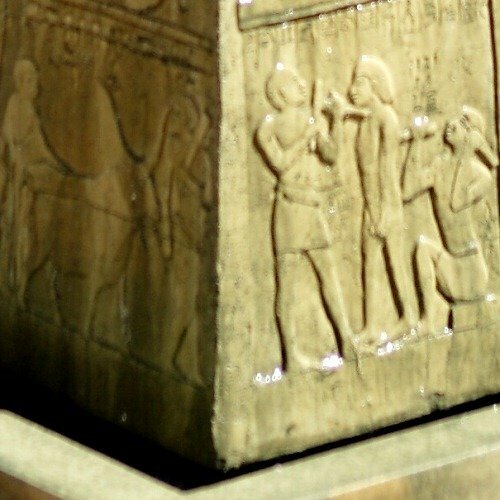 Some artists carve some magnificent works of art from these natural stones, but the typical person wouldn't be able to afford one. 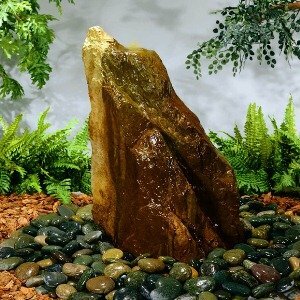 Therefore, we have a small selection of medium-sized stock fountains for you to check out. 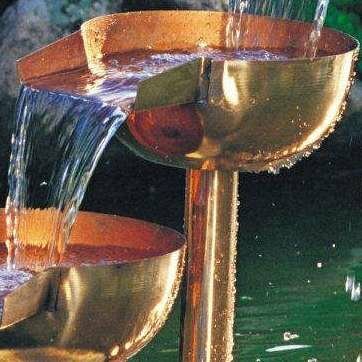 With the right creative mind, any object can be turned into a unique handmade fountain. 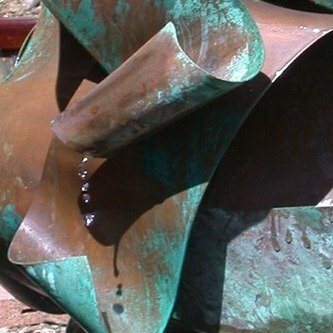 These ideas above are only a minute sample of the homemade fountains that have been created using a simple water pump, some hose and an outer structure of some kind. Many people choose to use pots or urns as the main basin for their fountain, but you can also do some simple landscaping and install an underground basin that lets the water seemingly disappear into the ground. 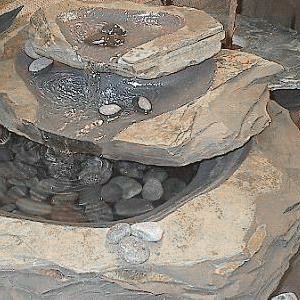 It’s easy to find homemade water feature ideas when you consider the supplies you probably already have lying around your home. So go out and find an old planter, pot, bamboo shoot, bucket, hand pump or rock and start getting CREATIVE! To some, brand name products are the only way to ensure trust and reliability in a product. Brand name water fountains are no different. There are some advantages of buying the name brands including the great warranties they offer and the unique styles. 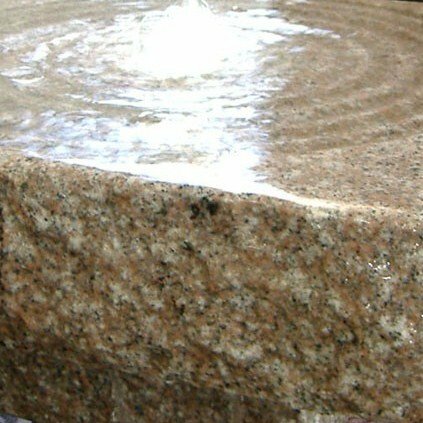 Below are a few of the biggest brands in the outdoor water feature industry. Sunnydaze Decor is the premium brand of lightweight outdoor fountains in the United States. They are constantly developing new designs that cater to all customers. They also back their products completely for 1 year with a manufacturer's warranty. Both the low cost and the ease of use make Sunnydaze fountains one of the most popular brands in outdoor decor. Gist Decor is an American manufacturer of numerous Decor types with a specialty in glass fiber reinforced concrete sculptures. They design many abstract pieces for businesses and homes and always put the quality of the art before anything else. For almost 60 years, the artisans at Henri Studio have provided amazing cast stone works of art to the homes and businesses of thousands. The vast experience and creativity of Henri shows in every piece they produce, without exception. Henri Studio artisan fountains can now be found worldwide in many high-end areas. 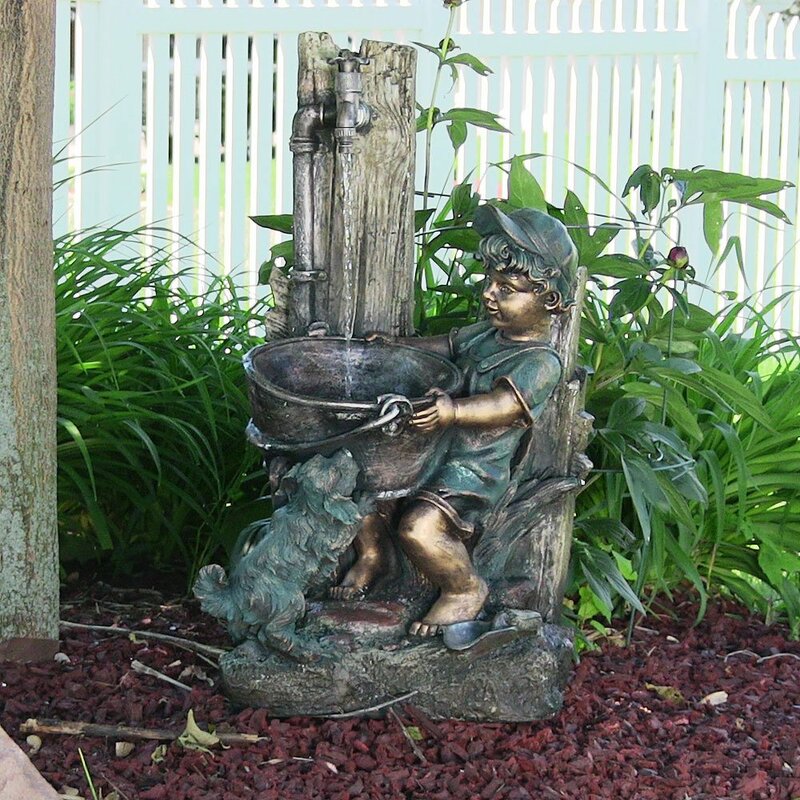 Shop our selection to find the perfect Henri outdoor fountain for your garden, yard or patio. 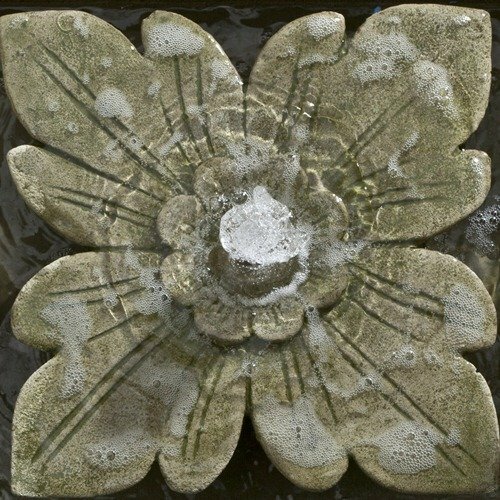 Campania International has been designing and distributing fine garden accents since the early 1980s. Consistency and old-world traditions combine to create products that last through the years. They distribute exclusively to garden centers in the United States and Canada and only a few online retailers that have been authorized to offer their products. They believe in customer satisfaction and will always stand behind their products.